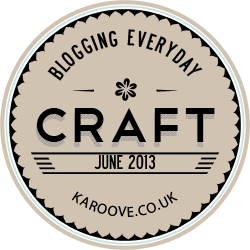 Day 30: What Does Crafting Mean to You? Crafting for me started out as a hobby on the side, something to literally just do in my spare time and over the few years recently, it's turned into something more epic. I craft as part of a design team now on Aud Sentiments when a few years ago I never even knew what a design team was and I never have have thought my card skills and craft making skills were even good enough to be on any team, let alone a team whom I thoroughly enjoy working with. So for me it's an honour and a pleasure. Crafting for me is something that I love to relax with, creating cards for my friends and for them to actually say 'I totally wanna keep this forever' or 'I love it, I can't believe you actually made this' - its great getting compliments and for me, even minus the compliments or comments - I would still do it, because I enjoy it. It's time for me to have for myself, something that's different from the everyday norm of day-to-day life and it's something I can put my creativity, expression, emotion, enjoyment and effort into and this will continue long into the future. Home made / crafting / cardmaking / papercrafting is making an utmost contemporary comeback adapted for modern and old-fashioned crafters and makers. Home furnishings, original art and pieces, gifts and the ability for items to be customised and personalised as well as an ever increasing online presence - it's a skill that will be changed, maintained and will still be kept on trend. 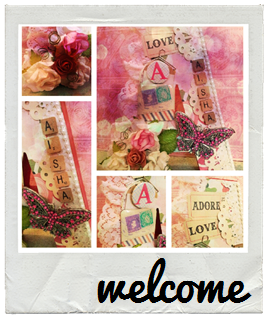 With all this in mind, crafting itself has created a world of opportunity and community. Being able to share your ideas with others, bringing individual crafters together, going to shows, workshops and clubs - the list is endless and it's ever growing. With the ability to bring people together, expressing creativity and even just a hobby to sink your teeth into the importance of crafting for me is ever growing and for so many reasons - it's something I will continue to enjoy and pass on to the next generation in the near future. Thank you so much for taking part. I have loved every minute too . Well ok a few times I have felt like slapping myself at some of the prompts lol.